Tennis has long been popular in Australia, thanks to a long line of champions and all-time greats. with a program of support, plus a raft of new initiatives. At the beginning of 2016, PEUGEOT became a Platinum partner of the ATP World Tour as well as the Official Car supplier at more than 25 ATP World Tour tournaments, with some 500 vehicles that will provide first class transportation services for players, officials, VIPs and special guests to the events. PEUGEOT has had an involvement in tennis for more than three decades, and counts a number of top players among its ambassadors. This latest partnership strengthens PEUGEOT’s long association with tennis by officially linking its presence in 160 countries with the ATP World Tour’s global footprint. Off-court, PEUGEOT have a presence on ATPWorldTour.com, the No.1 tennis digital portal, and will also become presenting partner of ATP World Tour Uncovered, the Tour’s weekly magazine TV show aired across 170 countries, offering fans unique behind-the-scenes access of the ATP World Tour. As part of its increased involvement in tennis, PEUGEOT has also established a new digital platform for fans: Drive To Tennis. 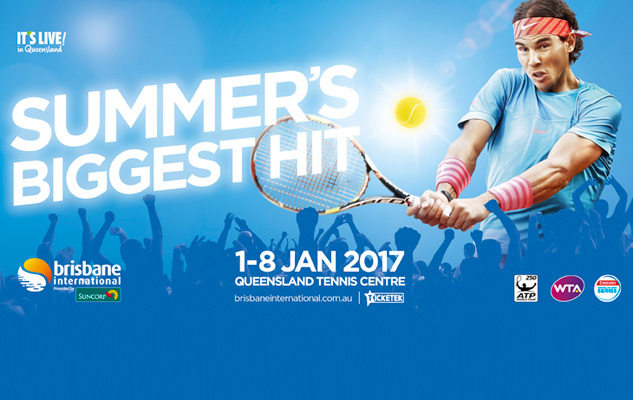 The 2017 tennis season gets underway at the Queensland Tennis Centre from 1-8 January with Brisbane International presented by Suncorp. Grand Slam champions Rafael Nadal (ESP), Stan Warwinka (SUI), Angelique Kerber (GER), Garbine Muguruza (ESP), Svetlana Kuznetsova (RUS) and Sam Stosur (Qld) are amongst the superstar line up set for Brisbane. For the first time, five of the world’s top ten women and five of the top ten men have signed on to compete for the crown, making it the richest player field the tournament has ever seen. The intimate tennis arena, exciting food & entertainment precinct "The Racquet Club” and incredible line up of tennis, music and A-list stars make Brisbane International a unique and unforgettable experience for fans. Thanks to the new 2008 SUV, which is due to launch early in 2017, PEUGEOT is proud to be an Official Sponsor and the Official Car of the tournament, with a fleet of cars to provide premium transport for players, officials, VIPs and special guests for the duration of the tournament. Last tickets are selling now. Get yours today and don’t forget to check out the PEUGEOT fan zone in The Racquet Club for fun and games during your visit! 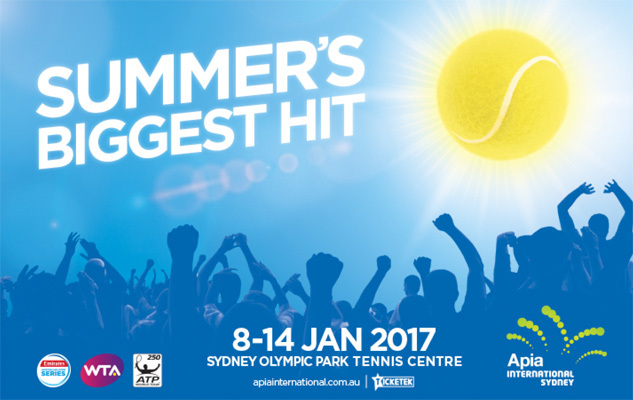 Apia International Sydney 2017 will be headlined world No.1 Angelique Kerber and world No.8 Dominic Thiem, with two stellar fields set to compete for the fourth oldest championship on the professional tennis circuit. The women’s field will feature six of the top 10 players in the world as well as four Grand Slam champions and is the strongest of any WTA Tour event in the past 12 months. Thiem will be joined in the men’s line-up by Spanish favourite Fernando Verdasco and two-time defending champion Viktor Troicki, gunning to make history as the first player to complete a Sydney three-peat in the modern era. Also returning in 2017 is the Legends showcase ahead of the men’s singles final, with Australian greats Lleyton Hewitt and Mark Philippoussis set to renew their rivalry on Saturday 14 January. If you come to the tournament, be sure to check out the PEUGEOT fan zone for fun and games!